It had been a while since I read a book and I was badly itching to read one. 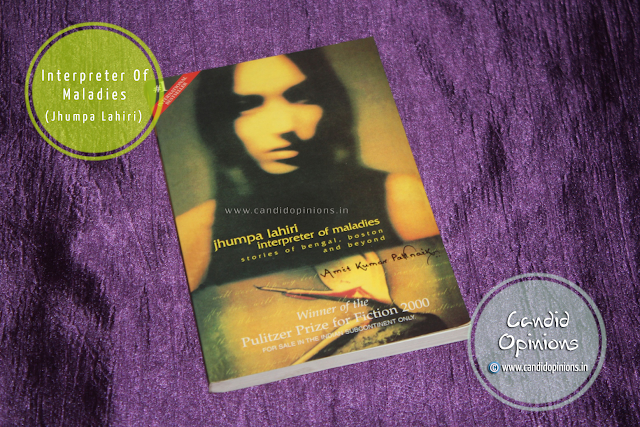 Luckily I got my hands on "Interpreter Of Maladies" by Jhumpa Lahiri to make my Sunday special The setting was absolutely perfect: had a soul satiating Chicken curry and rice meal for lunch followed by a good siesta and upon waking up, found the skies obliging us with rains. What better a Sunday evening could it be than having a good book for company while it would be raining outside? The smell of the earth outside after the rains and the smell of the new book..ummm.. both can be so irresistible!